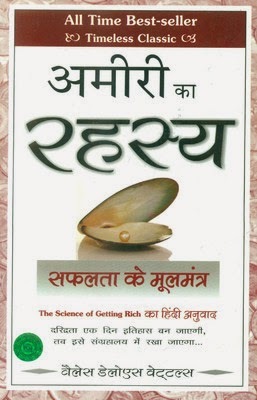 In the book Amiri Ka Rahasya, the author discusses his belief that God wants people to acquire and accumulate wealth. 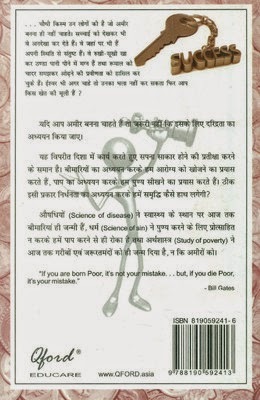 This book is the translated Hindi version of a popular work by Wattles, and in this book, he states that God wishes a person to accumulate wealth in order to exhibit himself through such luxuries. Wattles outlines a specific pattern that can help the readers obtain wealth, and further adds that if a person follows a set of defined rules, intentionally or unintentionally, he/she can achieve wealth. However, he also states that if people do not follow the specific pattern that he prescribes, they will not be able to achieve wealth, regardless of their efforts. Born in the year 1860, the author Wallace Delois Wattles was an American author of several books. He was well-known for his books Making of the Man Who Can, The Science Of Being Great, and Perpetual Youth. Wattles dwelt in a farmhouse along with his father and mother. Here, he held the job of a farm labourer. He did not receive much formal education in his youth, but however, Wattles possessed lots of wealth during the last three years of his life. In the year 1911, the author passed away at the age of 51 in Ruskin, Tennessee.